Added on July 25, 2014 by Helen Nicholson. 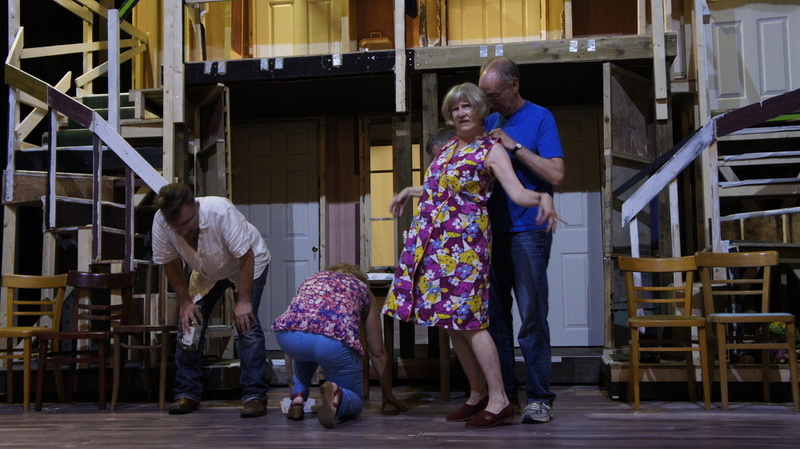 I had the great pleasure of attending rehearsals from the TOADS Little Theatre production of Noises Off this week in Torquay. Watching the cast come to terms with the fast-paced second act as they moved from the smaller rehearsal room onto stage with a two-story (rotating) set was fascinating. 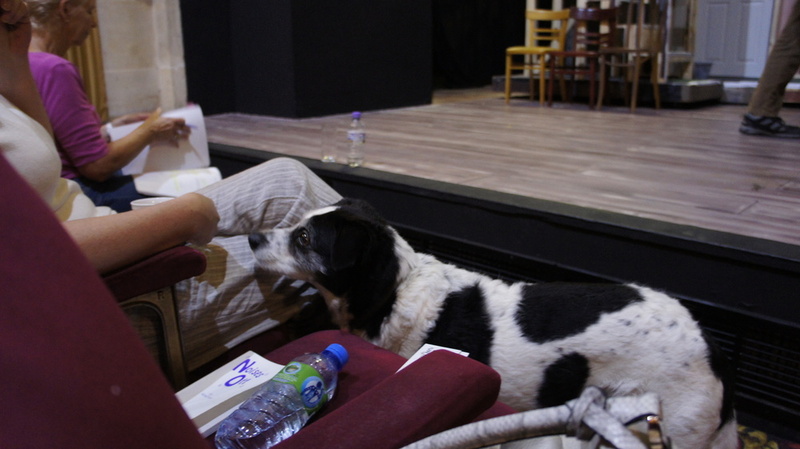 Director Anna Reynolds worked through the act bit by bit to sort out the timing, in preparation for their opening night on 4 August. Can't wait to see the final show!